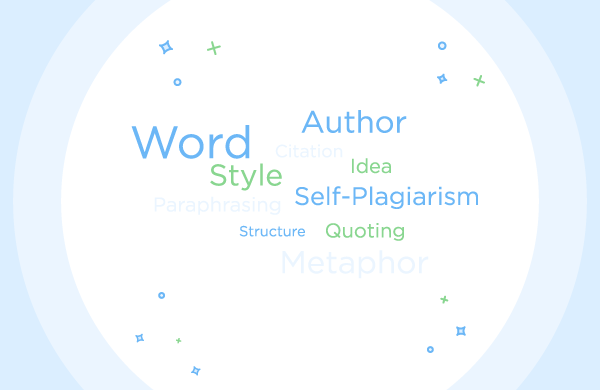 Most student writers are aware of the need to avoid plagiarism. Some students, however, aren’t aware of just how serious it is. Committing plagiarism is a form of theft or fraud, and can be likened to stealing intellectual property. Engaging in plagiarism can result in grave consequences, up to and including expulsion from the school you are attending. But in order to truly avoid plagiarism, you need a deeper understanding of what it actually is. It’s hard to avoid something if you don’t even realize you’ve done it! That’s why this article is going to get very specific on all the different types of plagiarism (and there are several). This is one case where what you don’t know might very well hurt you, so read on. I think it’s important to understand from the outset that some plagiarism is unintentional, while other acts of plagiarism are intentional. It’s scary to think that a simple mistake might result in an accusation of plagiarism, so let’s make sure you understand how this can happen. Poor Paraphrasing. Sometimes you might like the way something was worded by someone else, or the idea they conveyed. But if all you do is change a few words while still keeping the overall sentence structure, or switching the sentenced structure around but not changing any words, it can easily look like you’ve committed plagiarism. Poor Quoting. This one is unfortunate, because I see it happen all the time. All it takes is a misplaced quotation mark getting a few of the words wrong in a quotation and it might make someone think you’ve committed plagiarism. When it comes to quotations, you have to get them exactly right. This is a very important part of the editing process. You have to make sure you double and triple-check your quotations to ensure that they are completely accurate and hone to perfection your paraphrasing and quoting techniques. Poor Citation. The same goes for your citations as well. They simply have to be right. Forgetting a citation here and there definitely looks like plagiarism to anyone checking or grading your work. I mention these various kinds of unintentional plagiarism because they have a way of sneaking up on you without you even knowing it. But they’re also relatively easy to catch, so make sure you’re diligent in checking your own work. Word Plagiarism. Using someone else’s exact words without properly quoting, citing, or referencing them. Structure Plagiarism. This is when you paraphrase poorly, and even with citation it may be considered plagiarism. Style Plagiarism. What you can’t do is follow source material sentence-for-sentence or paragraph-for-paragraph. Even though none of your writing is exactly the same as the source material, what you’re copying here is the style of reasoning of someone else. Idea Plagiarism. Any time you present an idea that’s not your own, you must properly cite and reference the source. This can get tricky because sometimes you might think your idea is truly your own original idea. That’s why conducting thorough research is so important to your writing. You need to make sure your idea hasn’t already been claimed by someone else. What you don’t need to cite or reference are things that are considered common knowledge. If you’re ever unsure about this boundary, ask an expert or professor for their opinion on whether or not the idea is considered common knowledge in that field. Metaphor Plagiarism. Metaphors are very important in writing. They help readers understand an idea by comparing it to something else through an analogy. They are important elements of an author’s style. If you’re going to use the same metaphor as another writer, you need to properly cite it. Of course, you can also come up with your own metaphor, especially if you think yours is better! Author Plagiarism. This is what I’ve already mentioned in terms of taking an entire work written by someone else and putting your name on it instead. It’s surprising how many students still try to do this even though it’s the most easily detectable form of plagiarism. Self-Plagiarism. Can you plagiarize yourself? This type of plagiarism may be new to you, but it’s one you need to be aware of. I’m going to do a whole separate article on this one because it’s probably the least understood of all of them. For now, just realize that when you draw upon your own previous work, you still need to cite it, because otherwise it will considered as cheating! Did you know there were so many different kinds of plagiarism? Many students are surprised by this, and can feel overwhelmed by how complex it quickly becomes. What I’ve done in this article is describe the many different kinds of plagiarism so that as you continue to sharpen your writing skills, you’ll be more aware of what to watch out for. It’s also worth keeping in mind that avoiding plagiarism has never been easier with services such as Unplag.com, which can lend your writing efforts peace of mind.